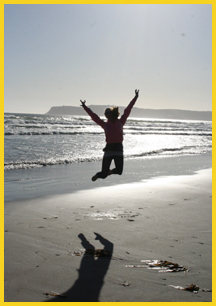 KidznFun :: Destination: San Diego, California - For Families/Kids! California’s Coastal City for Family Fun! SoCal’s southernmost city, San Diego, is a study in contrasts. From the historic Old Town, to the hip and trendy beaches of La Jolla, San Diego County offers up something for everyone, especially families with children. Kids love San Diego - for good reason. A collection of theme parks, wild animal kingdoms, old fashioned beaches, and darn good food are just the beginning. Read on for a few highlights of all that San Diego has to offer. There’s an adventure around every corner! San Diego for Families! The skinny on good stuff for families to do. Beachin' It - San Diego Style. We explore Mission Bay, beaches, Sea World, and more! San Diego Hyatt Mission Bay ACTIVITIES. MORE on San Diego events, lodging & activities.